How to Spot a Distracted Driver - Kellon Insurance Agency, Inc.
April is distracted driving awareness month in the insurance world, and we wanted to bring a different side of this topic to light on our blog this month. If you know the dangers of distracted driving, you avoid it. However as many of us know, you can’t control the actions of other people on the road. 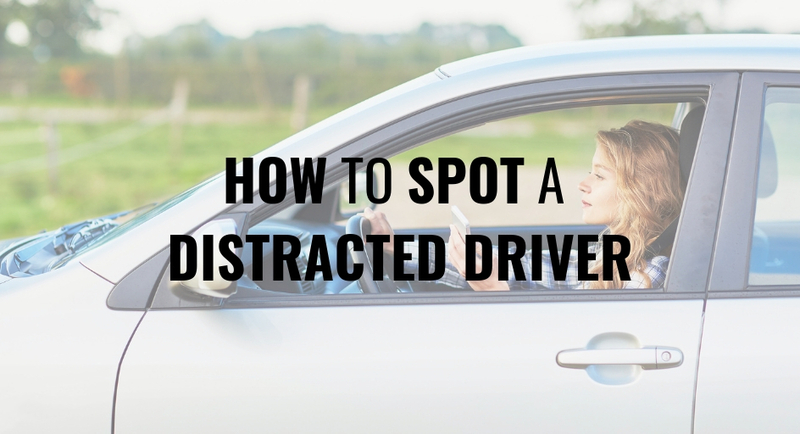 Here are a few useful tips for spotting – and avoiding – distracted drivers around you. Although in many states it is illegal to use handheld devices while driving, people will still do it anyway and make no effort to hide it. These people may have a phone held in front of their face, or they could be looking down. In either case it isn’t difficult to spot this distracted driver. If you see someone engaging in this kind of behavior in a car near you, the best thing to do is safely figure out how to get away. This could mean slowing down, changing lanes, or any other maneuver you feel you can safely perform. Do not let the distracted driver distract you, but do remove yourself from their path. You’re driving along and the car in front of you begins to waver back and forth across the lines. It could be accidental, but it is likely a sign of a distracted driver. It’s incredibly important to always leave plenty of space between your car and other cars, since the situation can turn dangerous in an instant if a car you’re too close to has a mishap. Similarly, be on the lookout for any car that lags behind after the light turns green. This is typically a sign that the driver’s eyes are not on the road, and this is a car you will want to avoid. Another common sign is if a car brakes suddenly to avoid hitting the car in front of them. This means they weren’t looking and did not notice the other cars slowing down. It can be difficult to avoid being rear ended by one of these distracted drivers, but always be on the lookout. According to the CDC, nine people every day are killed in motor vehicle accidents involving distracted driving. Talk to your friends and family members (not just your children because adults drive distracted, too) about the dangers of distracted driving and how anyone can spot and avoid it on the road. Set an example for others by modeling safe driving practices yourself. You never know what can happen in a single instant.